Our product range includes a wide range of hair color dye with inner layer packing machine, volumetric cup filler, heena powder filling and sealing machines, multi track packing machine, liquid filling machines and scrub pad packing machine. Unitek Hair dye with inner layer packing machine is state of the art of technology known for its Auto halting system - In the event of heater failure the machine automatically halts thereby minimizes the wastage of the man hours , product and the packaging film. Designed with technical perfection and rugged construction so as to meet with your production requirements exactly both now and in years to come. Banking on the skills of our qualified team of professionals, we are instrumental in offering Volumetric Cup Filler to our esteemed clients. This product is extensively demanded in various industries for filling thick pastes in pouches and for packaging purpose. 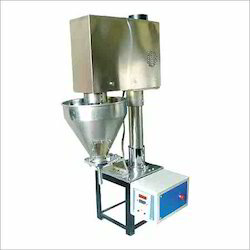 Furthermore, Auger Filling Machine is known for its high performance. 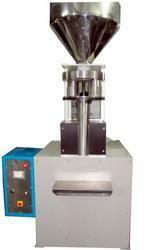 We offer a diversified range of Heena Powder Filling and Sealing Machines. 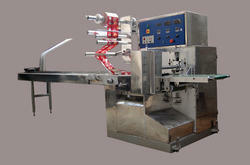 These machines are used for filling and sealing Sheena in quality assured packs. To enable movement of these machines easily from one place to another, we fix wheels at their bottom. Furthermore, we fabricate our products using defect-free raw materials and advanced technologies in a fast and effective way. 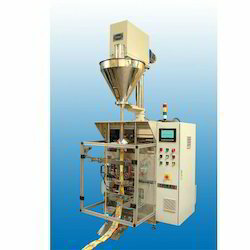 Heena Powder Filling and Sealing Machines are automatically operated and highly durable. Being an entrenched association, we present a brilliant quality scope of Multi Track Packing Machine to our valuable customers. 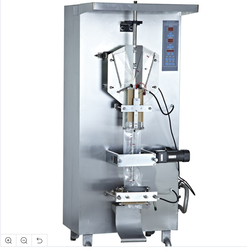 The offered machine is appropriate for pressing fluid, cleaner, ketchup, oil, cream, granules and numerous different things. This machine is generally valued by our valuable customers attributable to its high usefulness and long operational life. 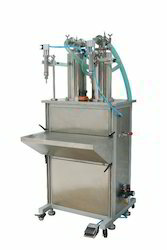 We offer a range of high-quality Liquid Filling Machines. 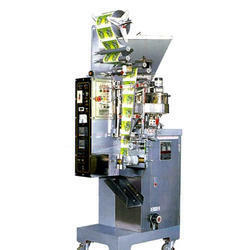 Used for filling and sealing the packets of liquid, our machines are known for their accuracy and reliability. The technical expertise of our workers enables us to manufacture these machines as per the current market trends. We keep on updating our manufacturing technologies in order to offer a technologically advanced range of products to the clients. Besides, we test run our machines prior shipping them to the client's doorsteps. In order to cater to the variegated requirements of the customers, we have been able to bring forth a highly efficient range of Water Packing Machine. Developed in accordance with the global quality standards, the range is incorporated with varied spare parts & quality components for improved efficiency. Manufactured under the strict watch of expert professionals, the range strictly complies with the international quality norms & standards. 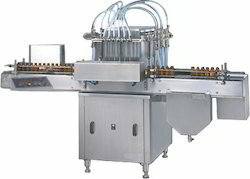 Honey Filling Machine offered allows for automatic filling operations and come with plunger type working to allow accurate measurement of filling quantity and linear type to feed bottles, integrated with the electric and pneumatic components which are world- renowned brands of low failure rate, stable performance, and long service life. Specially designed valve assembly to avoid drippage. This Atta Filling Machine exported by us are well known among our clients for their high durability and high production rate. Our offered machines have gained huge acceptance in the market for their exceptional design finishing and sturdy construction. These machines owing to their fabrication with quality tested raw materials are durable and optimal in weight. 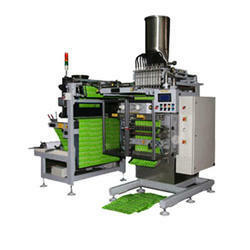 Moreover, these machines are supplied to customers in wide specifications at reasonable price tags. Automatic Plc programmed filling machine for dispensing precise quantity in cassette type cavity. 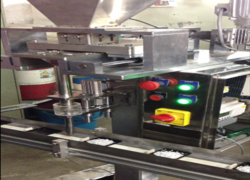 The cassette is fed on the conveyor as it reaches beneath the nozzle it halts the dispensing nozzle moves down wards and fills the product in the cavity. If the cassette is not fed in the conveyor the machine will not dispense the product. 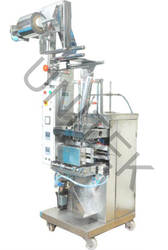 Our company is the instrument in rendering the quality-assured range of Bottle Filling Machines in the market. The entire range is designed and developed by our highly skilled and experienced professionals who utilize quality-assured material and modernized machines that are at par with the set industrial standards. Known for its high productivity and low wear and tear, our range is widely utilized for packing and filling shampoo, ketchup, gel, pickles, hair oil and more. With our ability to customize our range of Liquid Filling Machine, we have rendered complete customer satisfaction.